My Mathematical Flip Book | Life, Starring Lauren! My Mathematical Flip Book | May the odds be ever in your favor! 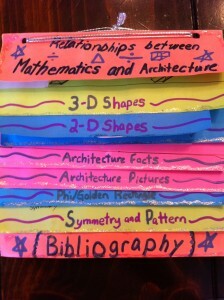 My Mathematical Flip Book shows the relationships between mathematics and architecture in many ways. 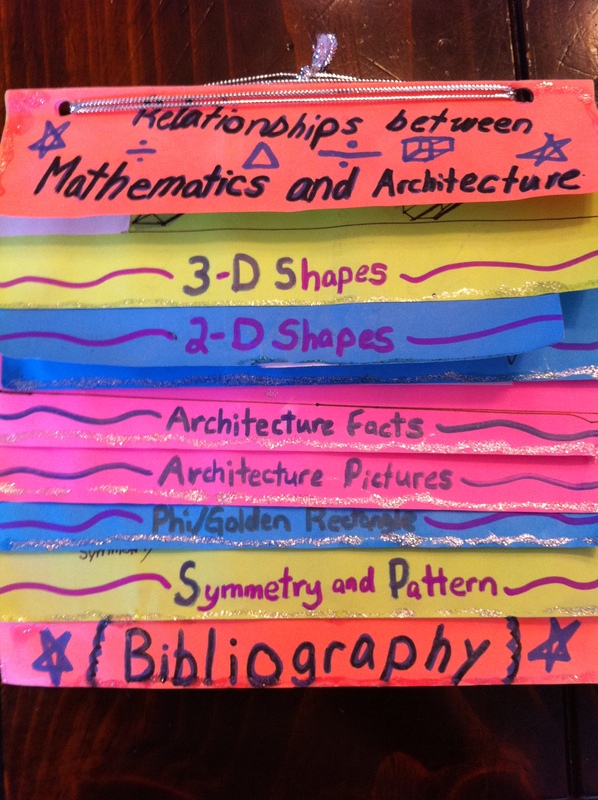 On my seven pages, these concepts are portrayed: 3-D Shapes, 2-D Shapes, Architecture Facts, Architecture Pictures, Phi/Golden Rectangle, Symmetry and Pattern and my Bibliography. Subscribe to Life, Starring Lauren! Recent Posts from My Mind! How Many Tags I have Used! Copyright © 2019 Life, Starring Lauren!